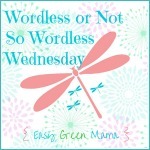 Wordless Wednesday w/ Linky! Giant Strawberries! Those are massive! Yummy! I think I might try growing strawberries this year. Happy WW! Our strawberries right now are pathetic, can’t wait until Summer ones! Those strawberries are huge and so is the one stem! Can I have a large strawberry please? heheh! WOW those a big strawberries! YUM! Love when I find those big strawberries! YUM!